The Association was founded in 1937. On May 3, 1941 application for incorporation (Charter) was made with the State of Pennsylvania. On April 11, 1941, the application for incorporation was continued and on July 10, 1941 the Association came into existence. On March 2, 1948 the first parcel of land of the present location was purchased from Annie E. Swope, Widow, Silver Run, Carroll County, Maryland. On May 15, 1974 a second parcel of land was purchased from Karl P. Bankert and Helen M. Bankert, husband and wife, of Germany Township, Adams County, Pennsylvania. Recently a section was entered into the Adams County Land Conservancy. There were five originals members who incorporated the Association, one of whom was Walter B. Crouse. Mr. Crouse donated $1,000 to the Association, the income to be used for certain purposes with principle to remain intact. 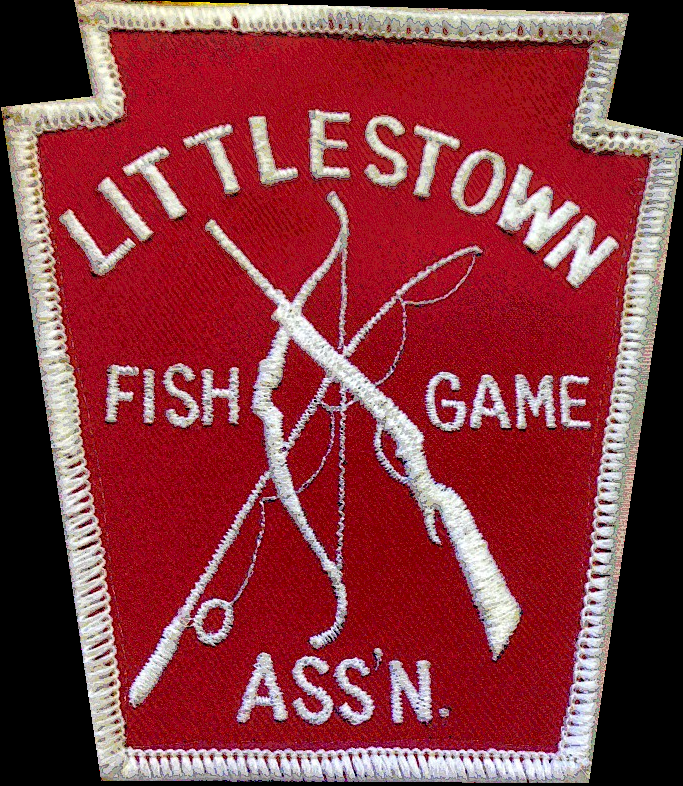 The purpose of the Association is to promote and improve to the best of its ability the hunting and fishing sports in the vicinity of Littlestown. To cooperate with the Fish and Game Commissions and Game Protectors along the lines of conservation and propagation of wildlife. Also to assist in educating the sporting public to the necessity of abiding by the hunting and fishing laws of Pennsylvania. Mr. Cubby Bear was elected temporary chairman, David Kammerer, Jr. temporary secretary. On January 27, 1937, the first regular meeting of the Association was held in the American Legion Home for purpose of organization. The following were the first officers elected. Auditors Theron Spangler, Wilbur Rankert. The club has an unusual distinction in that their first president Richard Phreaner, who is a direct descendent of the greatest American hunter of all times, Daniel Boone. On December 10, 1947 by a vote of 50 yes and 5 no, it was decided to purchase approximately 40 acres of land from Mrs. Annie Swope for $3,000, it is now known as the Fish and Game Farm. July 21, 1948 the first meeting was held on the grounds. March 23, 1949, the storage building was bought from the borough and placed on the grounds. The first meeting was held in the Club House, September 14, 1949, the building cost $3,410. The same year a 70 foot well, 18 ½ foot casing with a pump cost $207.84 November 16, 1949, the 2.6 acre Farm Pond was started, when complete it cost $1,695.71 with Mr. Walter B. Crouse purchased $500, worth of bonds. In 1950 the pond was stocked with Bluegills and Bass. July 15, 1951, the first Family Picnic was held. Karl Bankert donated the ice cream; Feeser’s Dairy the drinks and Charles Weikert the rolls. This continued for several years. The same year we planted 1,250 pine trees and many thousands added since. The fishermen were eager for 1 o’clock July 6, 1952 to arrive, that was the date we started to fish in the pond. 1948 to 1953 members of the association purchased non-interest bearing certificates amounting to $1,815. July 22 1953 our bank loan was paid and a Mortgage Burning was held with a chicken supper served. By 1955 the non-interest bearing certificate were redeemed and a back porch added to the building at a cost of $268.43. In 1957 porch was enclosed for a kitchen and an oil burner installed in the building. May 1959, the Archery Committee had completed a very good Archery Course and since then held many Archery Shoots. The same year the Pond was drained and repairs were made to the breast at a cost of $1,141.69. John F. Feeser Thomas Stanely, Jr.